What exactly defines EU citizenship after Brexit is about to be decided by an Amsterdam court. Five British plaintiffs who argue their EU rights will exist beyond 2019 want their case referred to Europe's top court. The plaintiffs insist that "citizenship of the Union" introduced in the 1993 Maastricht Treaty and multiple rights fixed in EU's Charter of Fundamental Rights should exist beyond Britain's exit from the bloc in March next year. "We've told the judge that Britons living in the Netherlands need clarity over their status as European citizens after Brexit," said their lawyer Christiaan Alberdingk Thijm. "Politicians are negotiating with people's lives. We have a right to have some clarity, not at the eleventh hour, but now, so that we get on with our lives," said Stephen Huyton, one of the plaintiffs. "Once the UK leaves, is their European residency still valid? That's one of the questions … not yet answered," he said, adding it would "also help make clear exactly what the status is of EU citizens currently living in the United Kingdom." Huyton said British expats were the "forgotten many," because they were not allowed to vote during Britain's June 2016 referendum, despite being British citizens and in many cases taxpayers. Last month, British lawyer Jolyon Maugham told the Associated Press that if the Dutch judge puts questions to the Luxembourg court, "The answer the Court of Justice gives will be an answer that applies to UK passport holders wherever they live." "I am also profoundly concerned for the 64-odd million people living in the United Kingdom who, but for this litigation, will lose the ability to exercise EU citizenship rights in the future." Britain - Out of the EU, out with Europeans? A joint decision passed in November 2012 by the EU's Council of Ministers and the European Parliament — signed by Germany's Martin Schulz — said the bloc's various treaties "further strengthened the rights associated with Union citizenship." The decision said these texts combined meant "that every person holding the nationality of a member state is a citizen of the Union, that citizenship of the Union is additional to, and does not replace, national citizenship of a member state and that citizens of the Union enjoy the rights and are subject to the duties provided for in the treaties." Article 8 of the 2012 decision says the right to move and reside freely is "highly valued by Union citizens as a core individual right linked to Union citizenship" and demonstrates "citizens' participation in shaping the Union." Post-Brexit: Future British passports to be printed in EU? 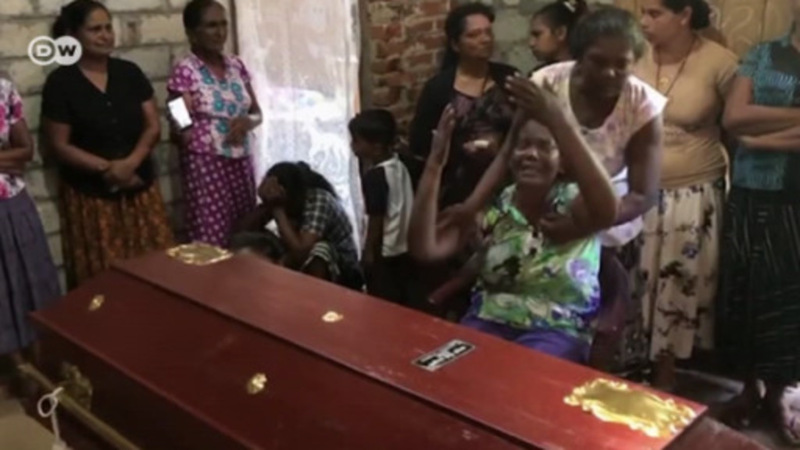 Authorities in Sri Lanka had received warnings about an upcoming attack weeks before the suicide bombings killed hundreds on Easter, officials said. The attacks were allegedly retaliation for the Christchurch massacres.